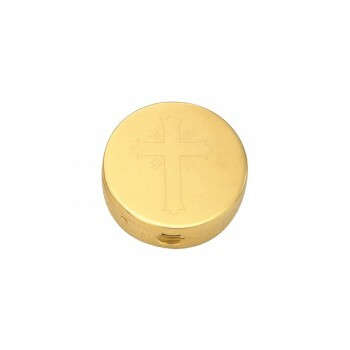 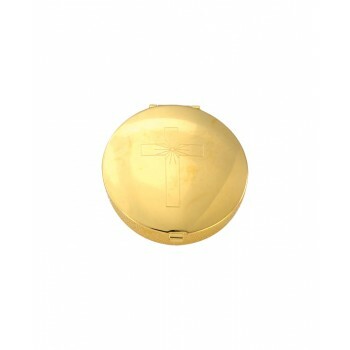 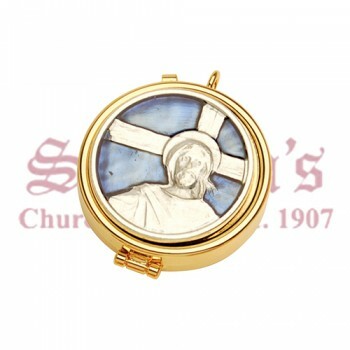 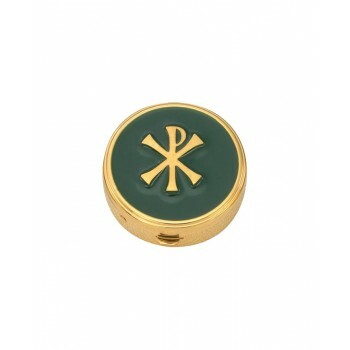 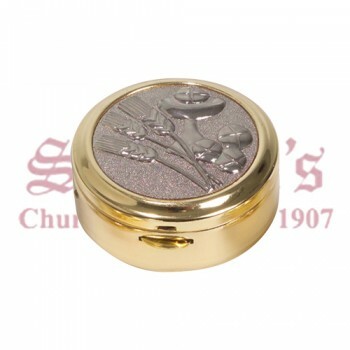 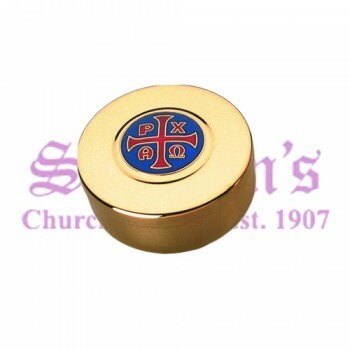 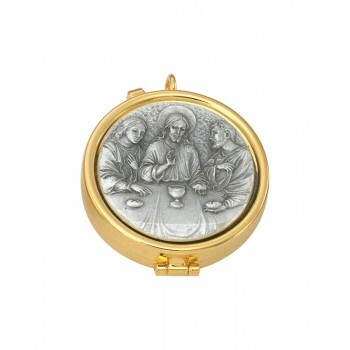 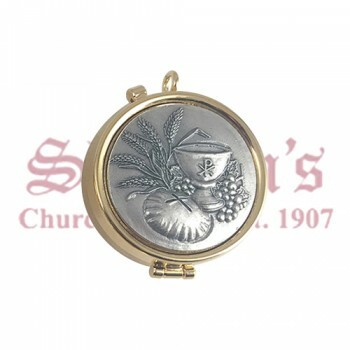 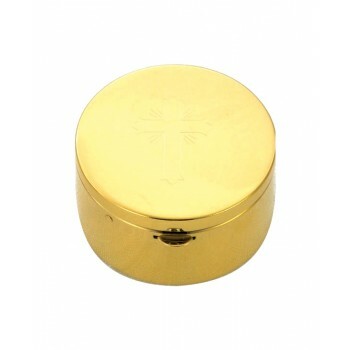 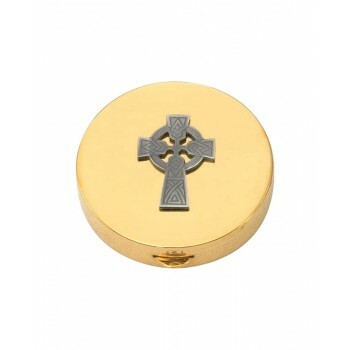 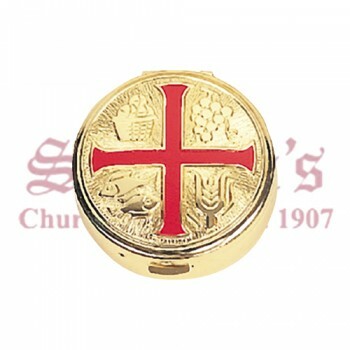 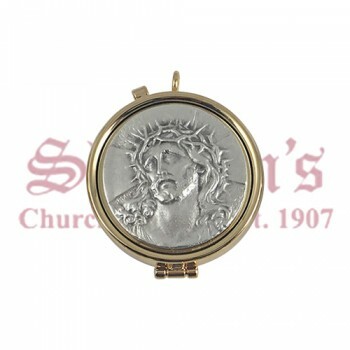 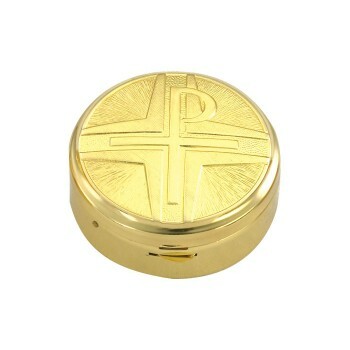 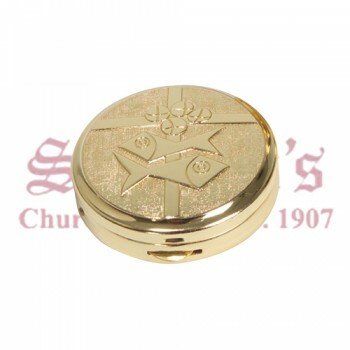 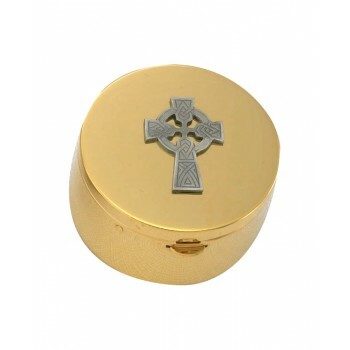 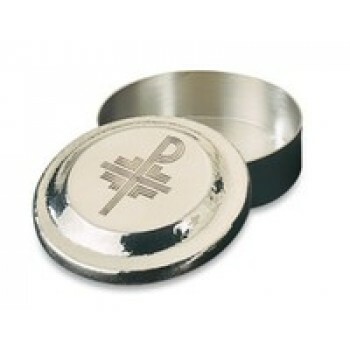 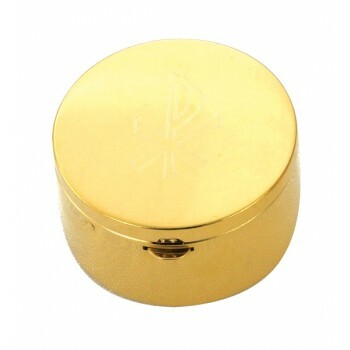 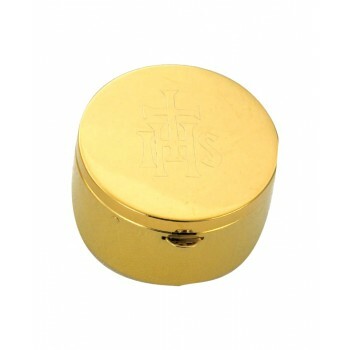 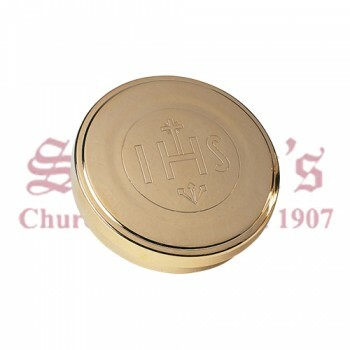 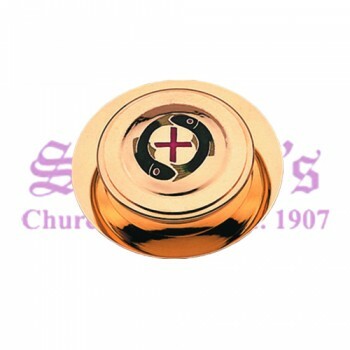 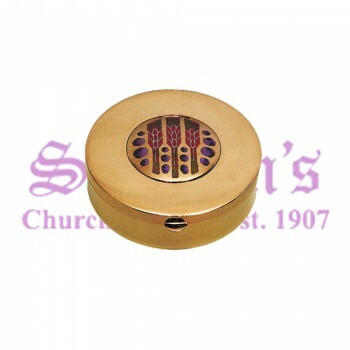 Share communion with the sick or the infirm with a Holy Communion pyx and burse from Matthew F. Sheehan. 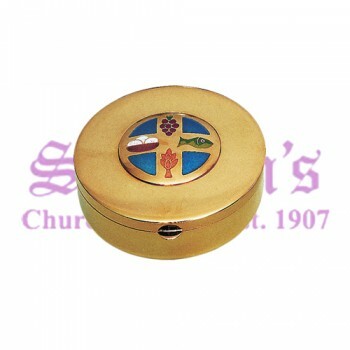 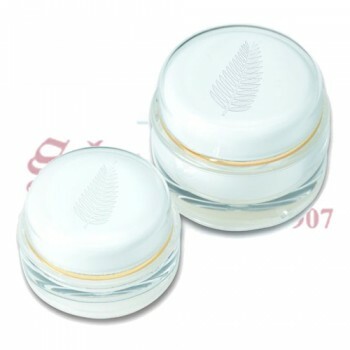 We carry several styles to choose from to suit your needs, and our pyxes are specially designed with built-in hinged covers or lids to ensure the quality of the consecrated host upon your arrival. 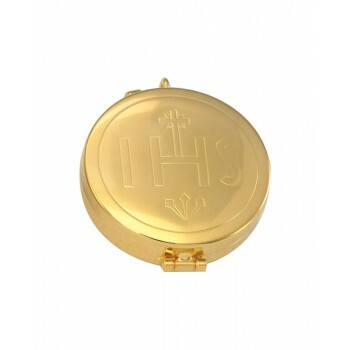 Add a matching burse to your order to carry the pyx and to keep it safe during transport. 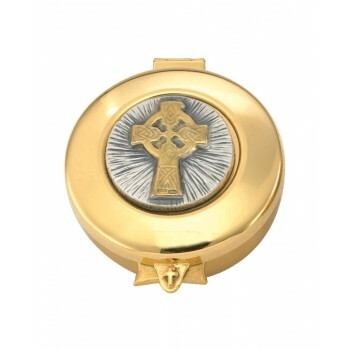 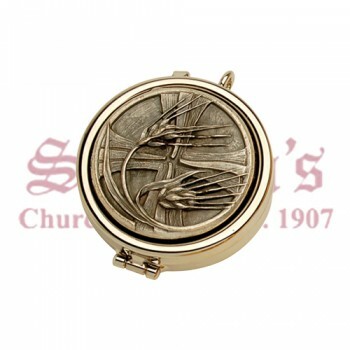 Our pyx and burse collection is perfect for performing regular visits to hospitals or nursing homes or for one-time visits to gravely ill parishioners. 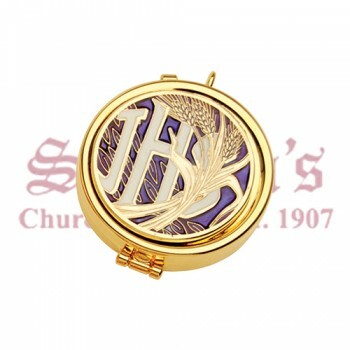 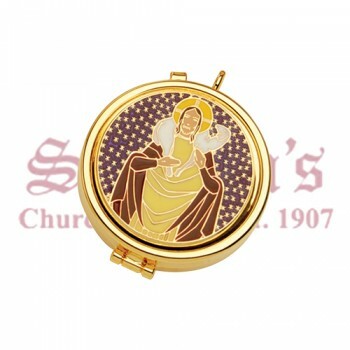 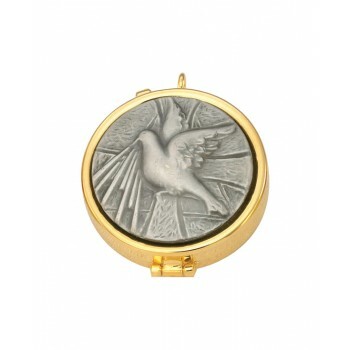 While most of our burses are relatively simple in style, our pyx collection includes a wide variety of designs ranging from basic to ornate. 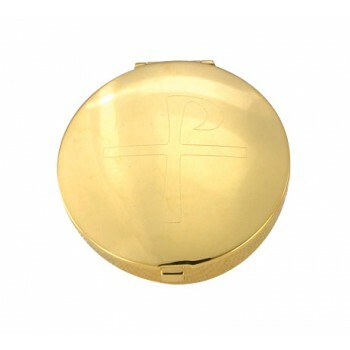 Choose the design that best suits your needs. 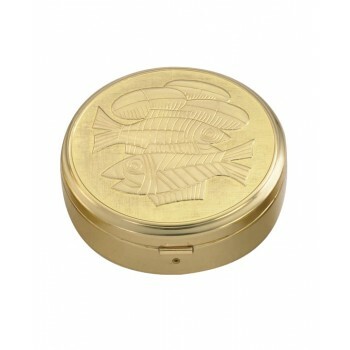 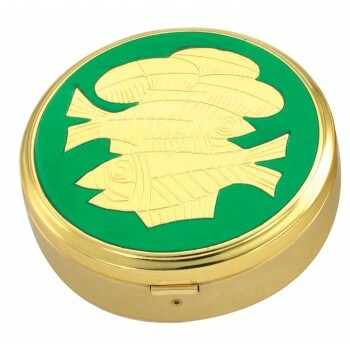 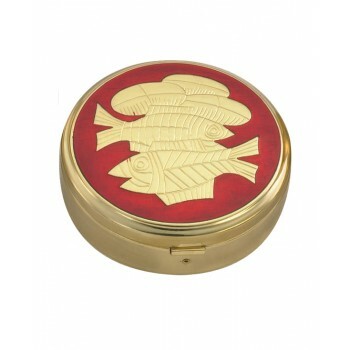 Pyx with Loaves and Fish on Red Enameled Lid. 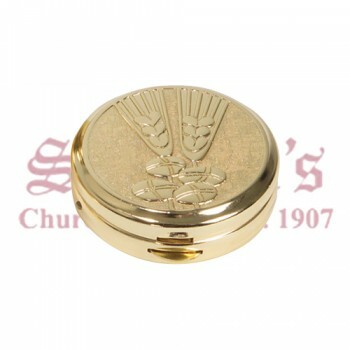 Matthew F. Sheehan has been in business since 1907 and is a leading authority when it comes to pyx and burse sets. 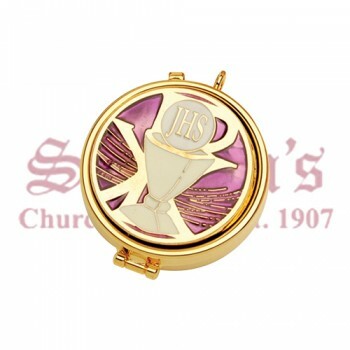 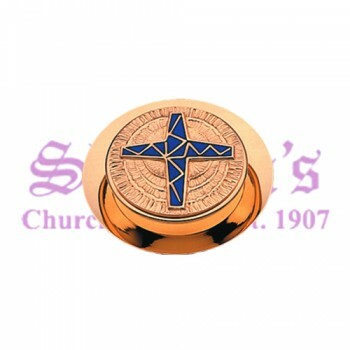 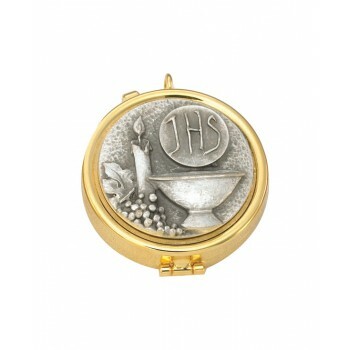 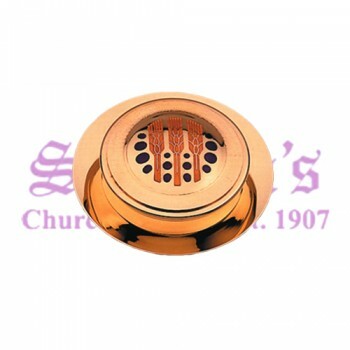 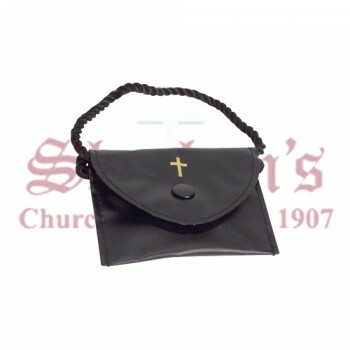 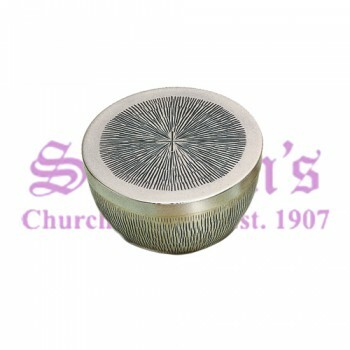 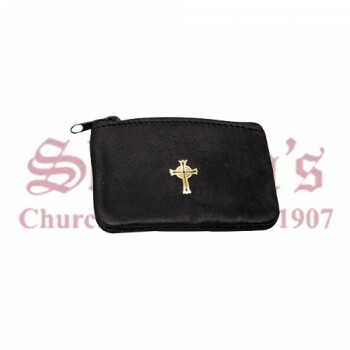 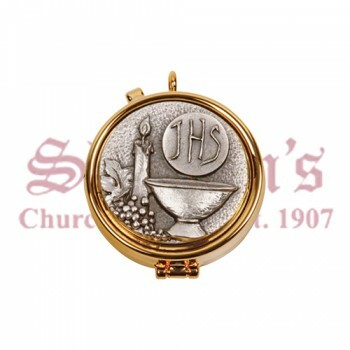 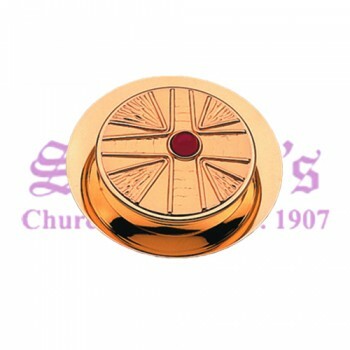 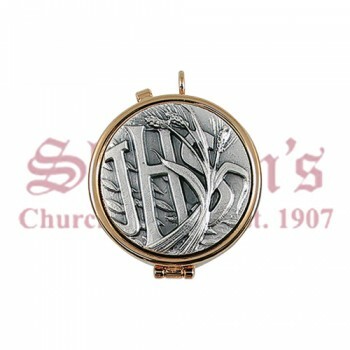 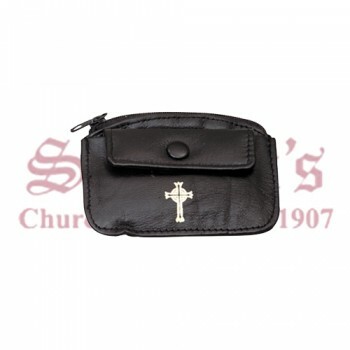 Our high-quality communion goods are hand selected for their exceptional quality and performance. 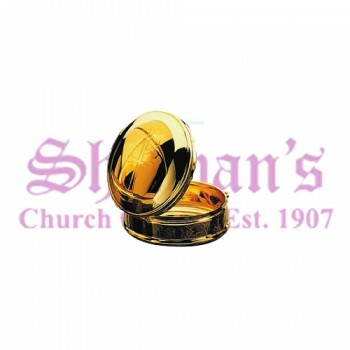 Shop with confidence from the comfort of your own home or church and allow us to deliver your selections right to your door. 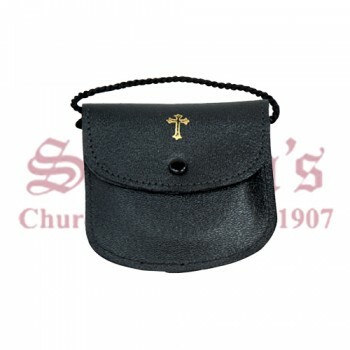 For questions about any of the sets shown here or help ordering, please call us at 1-617-971-9800 and speak with a member of our customer support team.